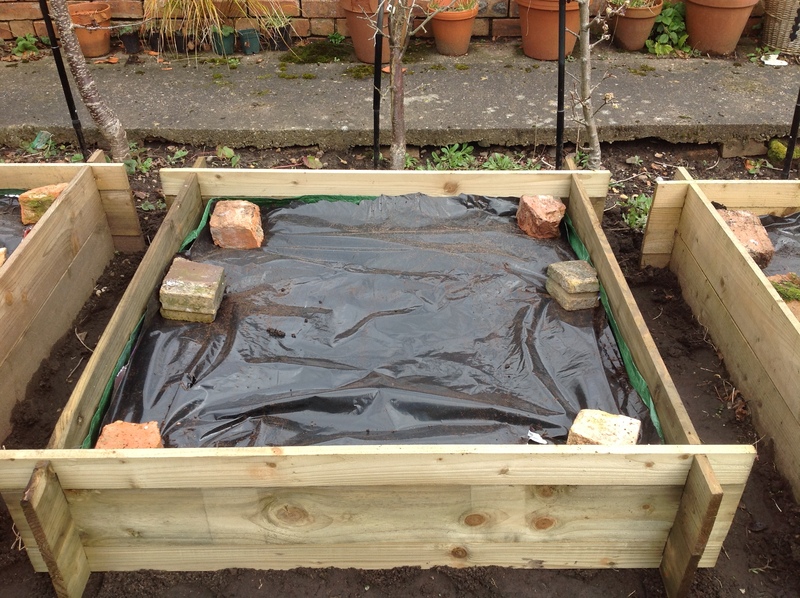 Well, two bags of the multipurpose compost and three of the topsoil down, means we now have a new raised veg. bed…. …. which, nestled between the two we did last year, means that now, we have three! 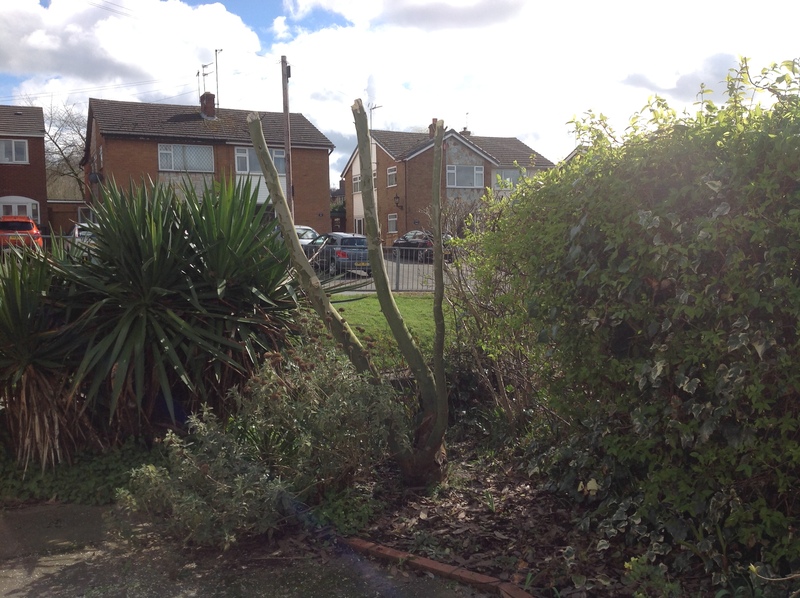 I have been conscious for some time now, that the Eucalyptus in the front garden was hurtling toward the telephone wires and really needed to be cut back. 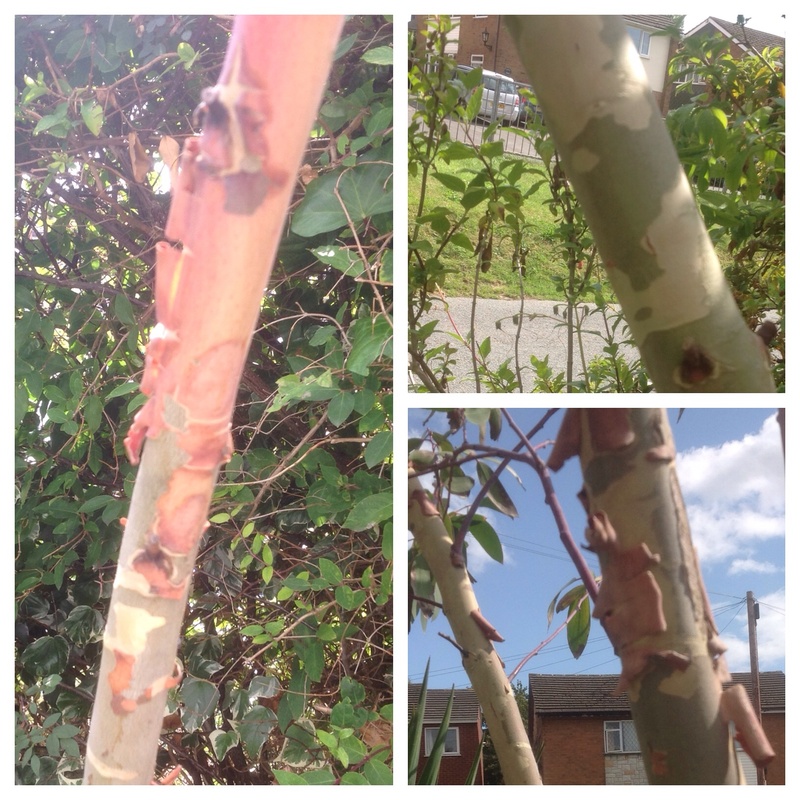 I know that they can be cut hard back and will regrow from the base with a flurry of fresh, new foliage, but, as I’m growing it mainly for its bark, I wanted to keep the trunk, so I considered pollarding it instead. First attempt! Rather scared! After (Mr. Chef) brandishing the chain saw, we now have a serious amount of beautiful top growth, to dispose of, a full garden recycling bin, and several trunks/branches – some destined for firewood for the stove, and the thinner pieces for edging beds in the Woodland. 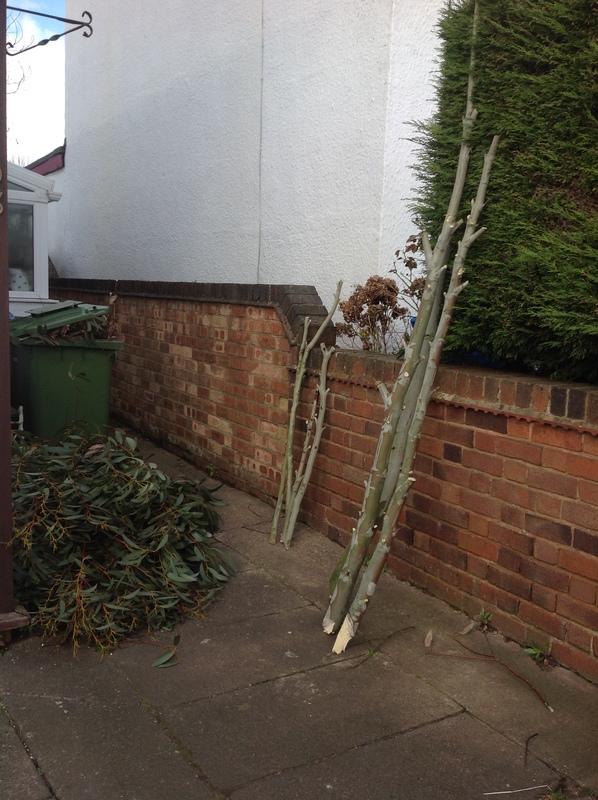 I wanted one of the trunks removed at the base, to leave a balanced group of three trunks…. 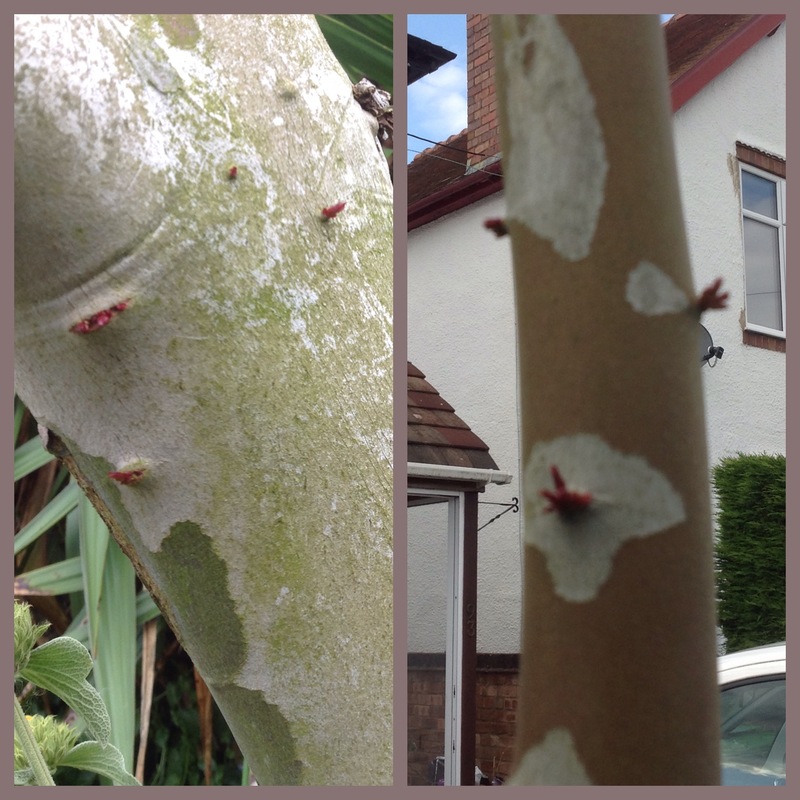 ….so then there were three! 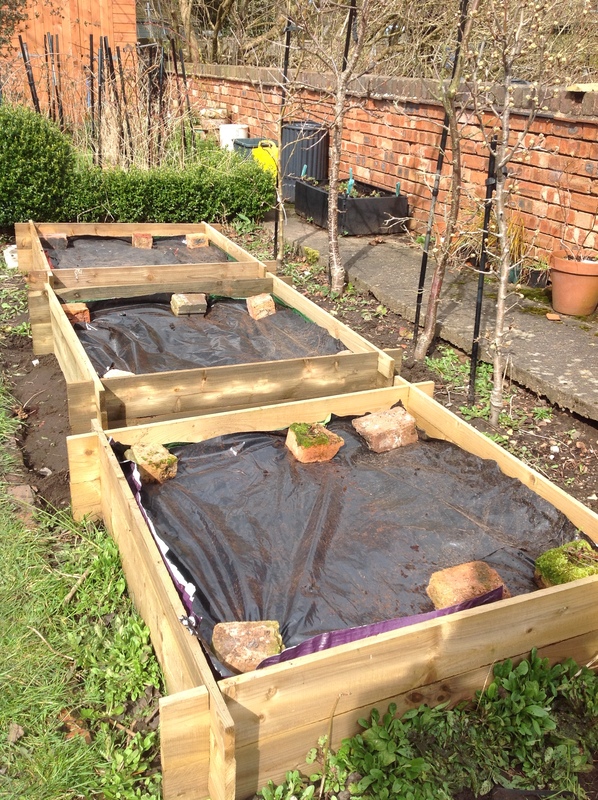 The next task was to assemble a new raised planter we had bought, to grow more strawberries. You can never have enough strawberries! 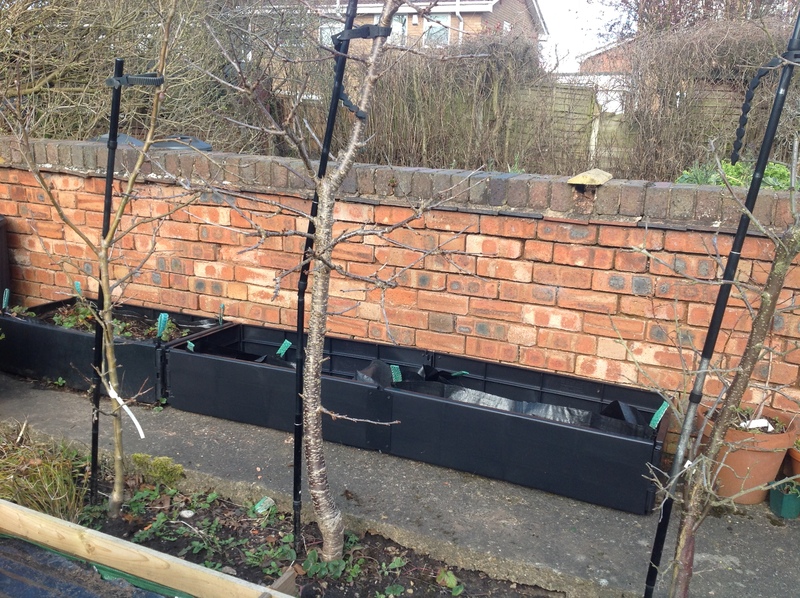 We had bought one plus an extension kit, with liners, to give us two more strawberry beds…. ….giving us (you’ve guessed it!) three! Now we just need three days to recover!! 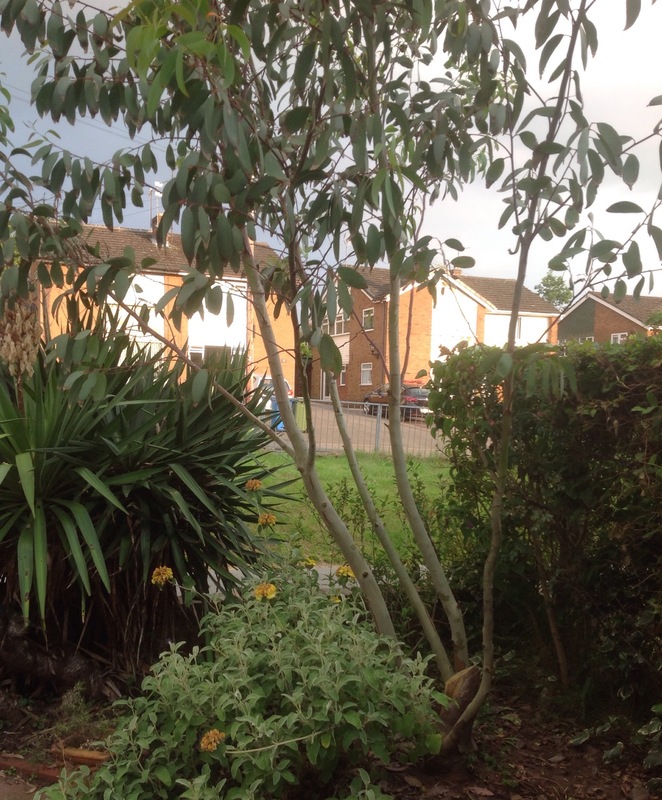 This entry was posted in Uncategorized and tagged Allotment, Eucalyptus pauciiflora, strawberries on March 29, 2016 by thelonggardenpath.